Recently weaned Grass Fed and Grain Finished with high quality feed or Grass Fed only upon request. Our meat is “top quality” and bred for genetic superiority or hand selected from breeders that have top quality and genetically superior herds. Our processing makes us a "cut above" the rest through the use of the patented "Rinse & Chill™" System. We raise our stock on Colorado's Front Range. We allowed them to graze on open land and feed on a free choice intake of grain for approximately 14 months. At 14 months or approximately 100 days before processing, the "finishing process" begins. 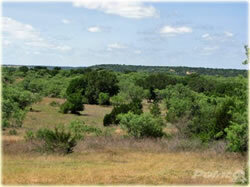 The finishing process utilizes top quality grain as well as natural grazing on quality grass and hay. We are a family owned and operated Company in Colorado. Small, but growing in size and volume with each order that we fill. 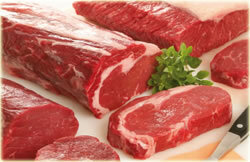 We pride ourselves in supplying the very finest beef that can be produced. Our beef is grass fed and GRAIN FINISHED, with all the tender loving care that we can offer. We don't take short cuts and we don't compromise volume for quality. We also offer grass fed only beef. We began our herd many years ago with the healthiest and highest quality cows and proven bulls available. Our management process allows rotational grazing. This means we place a small number of cattle on one pasture where they can uniformly graze natural forage growth at its optimum for peak nutrition value. The cattle are then rotated to new pasture in 2-3 months. Constant and scheduled rotation to new pasture is far healthier than those raised in confinement pens such as in feedlot animals. Open range controlled pasture rotation naturally decreases the load of parasites presented to the animal and allows for natural immune resistance to develop. 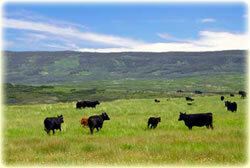 Open Range controlled pasture rotation presents the cattle with fewer potentially disease causing pathogens. All healthy animals harbor various strains of bacteria in their intestinal tract and it usually causes no problem. We do not use sub-therapeutic antibiotics, growth hormones or steroids in our herd or the feed or water.